The rise of the Clemson University Soccer program to consistent National Championship contention has created a need for a dedicated practice facility of equal caliber. This 14,500 square foot facility will provide a new center for the Soccer Program’s players, coaches, trainers, and recruits. 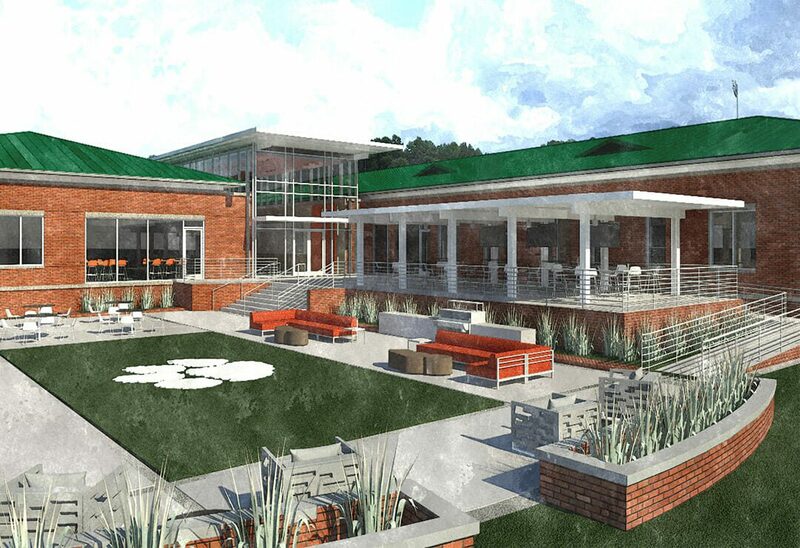 Located at the northwest end of Clemson’s campus alongside the university’s other top athletic programs, the plan situates the building on the site to facilitate equal and rapid access to the two new training fields along with expansive views of the complex. Conceptually, the building’s spaces are organized to create the most efficient sequence from player and coaches’ areas to the training field, with top equipment to facilitate the transition from practice to team gathering spaces, and vice versa. The design creates two mirrored wings for the Men and Women’s programs, maximizing their access to their respective training areas, and centers shared areas such as training and video rooms around a main lobby looking out on a recreational play plaza and to the training fields beyond. The design is carefully tailored to support the needs of an elite athletic facility while seeking to generate spaces that can become the heart of a program consistently on the rise.